HF-300 has high weather resistance and safety. Its high efficiency and barrier property make it suitable for panel encapsulation of large-scale photovoltaic power station. 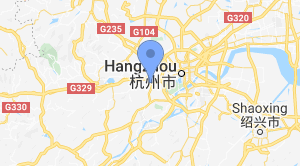 Seated in China's famous scenic tourist city, Hangzhou UM Technologies Limited is a professional Hi-tech manufacturer in the fields of R&D, manufacturing and services of photovoltaic encapsulation materials. Backed by professional technical team and powerful R&D capability, we dedicate to the development and promotion of novel-energy products in long term. Hangzhou UM Technologies Limited is an executive council member of Zhejiang Photovoltaic Association and a council member of China Solar Energy Association. Meanwhile, the company has established long-term cooperation with some international solar energy R&D institutions, such as U.S.Solar Energy Industries Association (SEIA),U.S. National Renewable Energy Laboratory (NREL). We also keep close contact with the domestically well-known universities, Zhejiang University and Shanghai Jiaotong University. Owing to complete and high-precision experimental and testing instruments, advanced production equipment and production technologies, our company has benefited a lot from its 20-year experiences on coating formulations and coating technologies, as well as its efficient technical management team and stable product quality. Hence, the company has been accredited to be in conformance with international quality management system ISO9001,as well as international environmental management system ISO14001 and the occupational health and safety management system OHSAS18001. At the same time, the company' snational laboratory accreditation project is in the process of reporting and auditing. Hangzhou UM Technologies Limited was also awarded as High-tech Enterprise of Zhejiang Province and Corporative Technology R&D Center of Hangzhou. Spirit of learning: Learning ability is the most valuable vitality, the most active creativity, the most elementary competitiveness. The Organization with learning spirit can effect management by objectives. Its members can be self-learning, self-developing and self-controlling. Information changed the human society; it also will change the organization and structure of the enterprise. UM Technologies improve organization instruction by learning and create industriously better study surrounding. Hard to learn, be good at learning, constantly learn and self-renewing, self-creating, go forward with the world together. Spirit of Innovation: Innovation is the basis for the survival of a company,the power of its development,the guarantees for its success.Independent innovation is the lifeline for a company to keep its market competitiveness.Adhering to the philosophy of strengthening development by innovation,UMTechnologies keeps strengthening its R&D capabilities,investing more in R&D,cultivating more talents and bettering its innovative strategy and management systems.UMTechnologies sticks to gaining its competitiveness advantages and sustainable development by innovation,philosiphically and technically.We are trying to make ouselves an innovative model in the industry and trying to grow with the whole world. Spirit of Service: Customer first,service outmost.For us,service is nobleness and love.We serve our customers wholeheartedly by trying to put ourselves into their shoes.We have been trying to creat our company values and social values by professional,smiling and ecellent service.Be with the customers,grow with them and develop with the world. Forcefulness in team building: Team Buliding belongs to the most important for the buliding of a modern company.UMTechnologies dedicates to bulid a flexible,efficient and united top team.Under the guidance of excellent leadership and encouraged by common wishes of the whole team,we would like to create join forces by gathering the most talented and hence increases the core competitiveness of the company,which will consequently make the company grow bigger and stronger in harsh market competition. Forcefulness in execution: A company is an executive team,and hence the forcefulness in execution becomes a decisive factor in the rise or fall of a company.UMTechnologies adheres to the execution philosophy of “wholeheartedness&propmt move”,making our team focuses more on the timeliness,strictness and particulars.We are trying our best to work down-to-earth and be a leading company in the industry by growing with the company and the industry,sustainably,steadily,coordinately and healthily. Forcefulness in quality sense: Quality Competition is an eternal theme of the industry.In harsh market competition,quality deicides the survival and development of a company and refelects the overall level for the management,technology and cultures of a company.UMTechnologies takes faith in the philosophy of “quality is the lifeline of a company”,accordingly,we have been regarding quality as the eternal theme for our development by continuously improving the teams sense of quality cultures.Being extremely strict in products quality on lines and establishing good company credit and image based on quality,we go all out to assure a “Nil-complaint” from our customers. Forcefulness in service sense: Customers decide everything while service creates values.UMTechnologies keeps the philosophy of “Serving the society honorably;Serving the customers passionately”.We try to think more and do more for our customers to pursuit perfection with whloeheartedness while providing the customers and society excellent service. Never withdraw before hardship: Courage of confronting hardships make heroes differ from others.UMTechnologies Team never withdraws before hardship.On the contrary,we always keep fighting with our perseverance and try to realize the success of the company as well as the staff. Never shuffle before responsibility: God's to god's and Caesar's to Caesar's.Everyone can have his own choice but should not shuffle his own responsibility to others.People in UMTechnologies all have strong sense of responsibilities.We actively make our choice,shoulder our resposibilities.We never cover the mistakes and try our best to keep and promote the development of our company. Never abate in execution: Company is a big family,hence its growth relies on all the employees.Everyone in UMTechnologies should try his best to be the best executor since the company belongs to us all.Details decide the result while forcefulness decides execution.From cultural philosophy to operational practice,we have been trying to be the best with the executive efficiency of 100%. Never get into conflict in argument: Argument even dispute leads to progress.We allow presentation or dispute of different ideas,trying to create a democratic atmosphere to ensure the realization of collision and blending for ideas and opinions.Argument is the way to consensus, which makes conflict natural but not fatal. Never get too relaxed in comfortable atmosphere: Comfortable atmosphere brings unity and relaxation while too much relaxation results in accidents.UMTechnologies tries to creat a relaxing working environment ,but it never refers to relaxation in terms of responsibility.We all keep high standards of self-requirements and self-control. To show everyone’s initiative and creation is our goal under a relaxing managing atmosphere,but never get too relaxed in terms of sense of responsibilities. Guarantees the increase for sales: Sales amount is one of the most important indices to judge the development status of a company.With our best products,best service and most effective sales mode,UMTechnologies ensures the continuous climbing-up of sales and hence creates more wealth and value for the company and society as well. Guarantees the increase for profits: Profits are of the same importance as blood to men for the survival and sustainable development of a company.We will try to increase our profits by most advanced technology and managing skills.By professionalizing the core business,prolonging the brand value and elaborating the systematic management,UMTechnologies will realize the increase in both diversified values and profits. Guarantees the improvement of product quality: Quality of the produts is the most important factor for a company to stand firm in market and finally possess the market.UMTechnologies will guarantee the quality for every piece of our product with our high quality sense and strict inspection.The improvement and betterment of quality are our best weapons to win outstanding Brand and Social Images. Guarantees the improvement of service level: The improvement of service level is crucial to the lifting of brand image for a company.With philosophy of “Humanity-oriented,serving the public”,UMTechnologies will keep improving our level and quality of service by building a high-qualitied service team.Top service will surely enhance the soft-power building of the company.